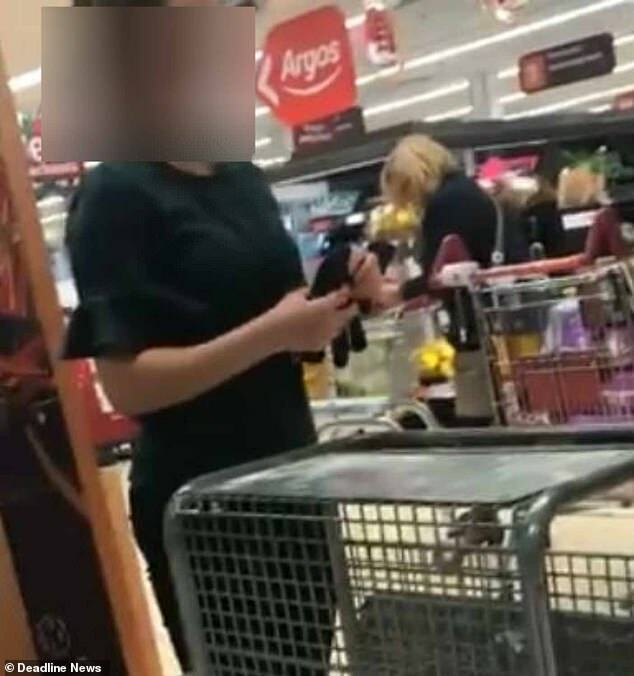 A family of travellers have accused Sainsbury's of discriminating against them after staff refused to appear in a video of them donating to a food bank. 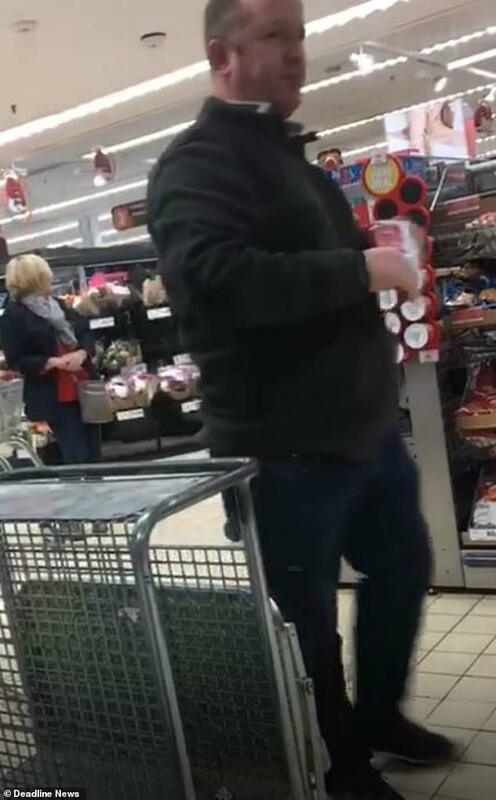 Patrick Fitzharris and his uncle Jimmy went to the supermarket in Hemel Hempstead, Hertfordshire, on Saturday and tried to donate £181 worth of goods. After paying for the shopping, the two men wanted to film the moment they handed over the food as part of the Food Bank Challenge sweeping the internet. 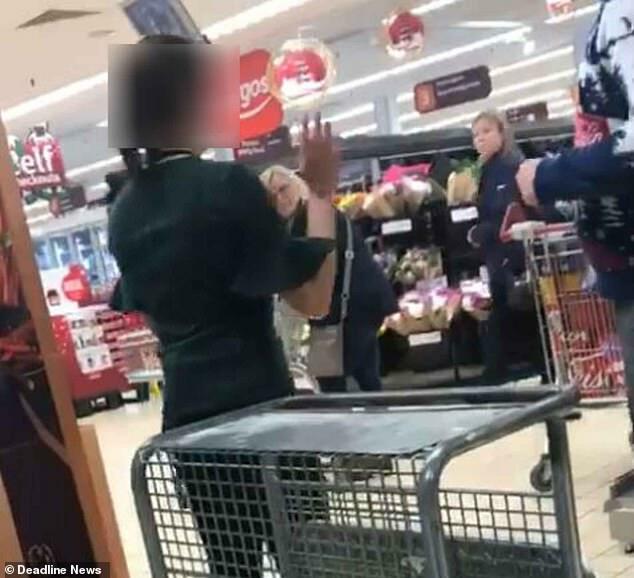 But the men claim Sainsbury's workers refused to be part of the video which sparked a confrontation caught on film. In the end, Sainsbury's refunded the men and the donation wasn't made. The men say workers refused to be in the video because the Food Bank Challenge was started by the travelling community. Patrick uploaded the clip to Facebook, where it's been watched more than 170,000 times. Patrick replies: 'But that's the whole point of it it's the nomination when you're getting nominated for the homeless you be a big man. A spokeswoman for Sainsbury's said: 'We are an inclusive retailer. Our colleagues explained they were not comfortable being filmed but would be happy to video the customers with their donation. The Food Bank Challenge, which was started just days ago, sees people donating a trolley of food at a supermarket, posting a video of the moment they hand over the goods and nominating friends to do the same with the hashtag #Foodbanknomination. The nominees then need to complete the challenge within 48 hours.